Meet Your Landscape Professionals at Earth First in Houston! Regardless of your commercial landscape need, we have the passion and the expertise in getting the job done right the first time and invite you to meet your landscape professionals at Earth First Landscaping in Katy, Texas! The perfect team begins with both leadership and experience, regardless the job at hand. 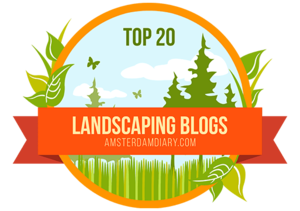 At Earth First Landscapes in Katy, Texas near Houston, we have two examples of leadership and experience leading our company and invite you to get to know the friendly commercial landscaping experts to see why our clients love us! Meet Your Commercial Landscaping Professionals at Earth First Landscaping in Katy, Texas! 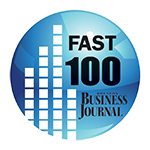 Byron Tribe is our Founder and President at Earth First Landscaping in Katy, TX. After graduating from the University of Alabama with a B.A. in Economics, Byron went on to play professional baseball for both the Chicago Cubs and the Boston Red Sox and integrates a team-based approach to his management at Earth First Landscaping. Even more, with an extensive resume of team sports, sales, accounting, finance, operations management, logistics, customer service, and computer technology, it's no surprise Earth First Landscaping is a leading commercial landscaping company near Houston. Rob Eberle serves as our Vice President of Earth First Landscaping and brings over 25 years of experience to every project. After graduating from University of Houston and working on his Masters in Geotechnical Engineering, Rob started out as a Staff Engineer with the Army Corps of Engineers, starting his impressive career focusing on environmental and grounds management, design and construction. Our team at Earth First Landscaping looks forward to serving you with your commercial landscaping near Houston and hopes you'll contact us today to schedule an appointment. See for yourself why our team provides a sense of confidence and peace of mind with each and every project! Our Passion for Athletic Field Services in Houston! Let Earth First Landscapes Handle Your HOA Landscape Services!